Same heart full of rage that it's Colton. I was feeling some type of way about the whole franchise as 2019 approached. Shawn B and Kaitlyn broke up and I was like, "What's the meaning of life?" Peter apparently went on a date with Nikki Bella from the WWE and even though it was bologna, it made me mad, because I've been to Wrestlemania. Which is the same as being a very fit, pretty WWE Superstar. However, Jared and Ashley's full on love story reminded me that I couldn't quit this franchise. So I decided to give it a shot and see what ole Not Peter...I mean Colton was up to this season. For this premiere, it was a three hour event. There were watch parties across America with surprise Bachelor cast appearances that filled up a good solid hour. I couldn't bring myself to watch any of them because of a very real condition I have called, "second hand embarrassment." What happened for the rest of the episode was about 30 women saying they were glad it was Colton, but also they were so nervous because he was a virgin who can't drive. They talked about his virginity like it was a tail or tiny gill that he had on his neck, that they were brave enough to look past. In all honesty, that's the kind of content I'm here for, but ABC has stopped taking my calls, so....? Colton was introduced the proper "Bachelor" way, by showering and working out shirtless. He said he was the chunky, awkward, fat kid growing up and until he found football, he never fit in. This little revelation warmed my cold heart a LITTLE bit towards him...but only a little. Chris sat down with him to talk about what he was looking for out of the experience. Colton said that he read all of the things that people said about him not being deserving (sorry bro) and how people made fun of him for being a virgin. He said that people think that because he's a virgin he's not romantic. Chris quickly interjected and said, "Or that you're not a man." Chris Harrison is not here to play, y'all. The first woman to be introduced was Miss. Alabama, Hannah. Her fun fact was that she had only kissed four boys but wasn't a virgin. 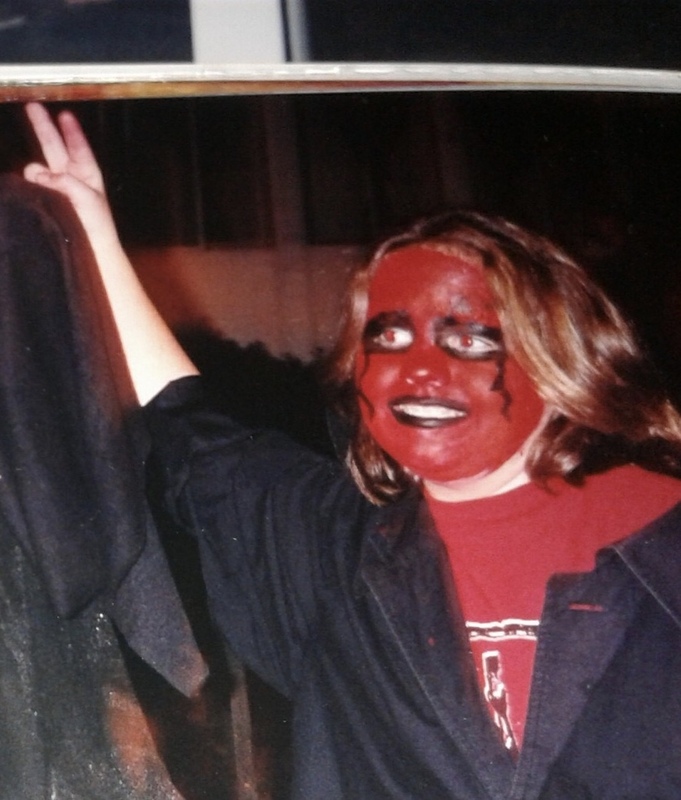 Heather introduced herself as "never been kissed." Kinda wished her name was Josie to really complete the whole late 90's rom com nod, but again, Chris Harrison no longer appreciates my "feedback." Heather also met Colton before at an event and has a framed picture of him in her home. She can't wait to date him and for them to fall in love with each other. I can't be sure but that might be the plot of "Swimfan." I can't stop making references to 90's and 2000's movies. Have you ever noticed the angles the women sit on random rocks and benches during their intro videos? They also look like they're Ariel singing about being where the people are. I tried to mimic those poses on my couch and confirmed that there will never be a time I look flattering on a rock, nor will I ever be able to replicate this pose for my 2019 Holiday card. Thank you for being with me during this trying time. Demi was introduced as a southern girl who was raised right by her grandparents. During her intro, she got a call from a correctional facility, where she introduced her mom. She was being incarcerated for embezzlement and was "getting out soon." Hopefully we get updates about her throughout the season because if there's one thing I love more than a dating show, it's a show about jail. Which is why I also watch "Love After Lock Up." Demi said that she was concerned that Colton may not know what kind of cupcake he likes, but she was the funfetti kind. Not only did she tease us with an extremely interested back story she also ruined cupcakes for us. When she met Colton for the first time she told him that she hadn't dated a virgin since she was twelve. A girl took his "V" card. Another one popped a cherry balloon, which Colton thought was an apple. She heard that Colton liked to take things sloooooow. That girl committed to her role. At one point she was up in a tree. Gotta say, I loved it. One woman showed up with a fake Australian accent. Colton was way into it, and she didn't seem like she was thinking about letting it go any time soon. Can't wait for that to unfold. Catherine, a DJ, arrived with her ten year old dog Lucy. She said that the dog was going to live Colton now, and tbh Lucy was like "Bye Girl." As the night went on and everyone was inside Catherine was hell bent on spending as much time with Lucy's new dad as possible. She said she wasn't used to fighting for someone's attention. Probably because dudes always bring her whatever she wants to her DJ booth while she's dropping sick beats. So it's understandable why this environment is challenging for her. before one of the women, Onyeka, decided to cut in and say that she was being terrible. Onyeka told her that she looked desperate. Catherine said she appreciated the feedback and Onyeka thought everything was cool. But then 2 minutes later, Catherine interrupted someone for the FOURTH time. Based on the previews, she's not a fan favorite with the house. There was a speech pathologist who was very sweet and another Hannah who ended up with the first impression rose. So far, those are my favs. During the rose ceremony many blonde women were upset about their chances. One of them was dressed as Cinderella, and when she didn't get a rose, they zoomed in on a pumpkin. Other women were upset because they didn't get chosen or because they filmed the first episode until noon pm of the next day. That girl isn't rolling her eyes. She's looking at the whole sun, as it has risen. I'm all for finding my soulmate, but if it takes more than 2-3 hours, count me out. This season looks a little bananas. Several of the women seem a little more extra than usual so I'm hoping it stays interesting for awhile. 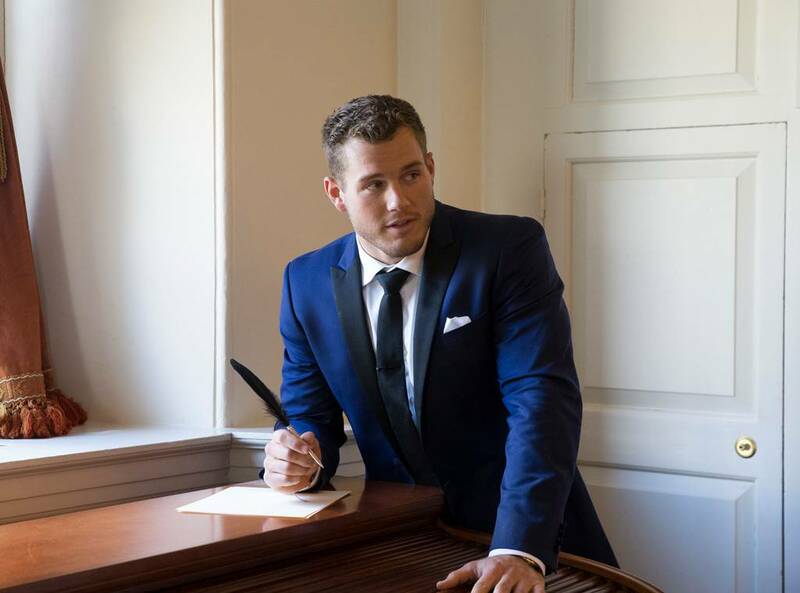 It looks like Colton even makes a run for it. I thought it was important to dust the...dust off the ole' blog given today's announcement from ABC. ABC traditional stands for America's Broadcast Channel but to me it's an abbreviation for Ashley's Been Cussing because I have ever since they've made their latest announcement. Some of you may be like, "Jones, it's what America wanted. It didn't work out with Tia and this is just what's meant to happen." LET'S TAKE A LOOK AT SOME NUMBERS THAT I FOUND ON THE INTERNET. TV Guide didn't even have him as an option!!!!!!!!! Grocery Joe, who was voted off NIGHT ONE nearly edged him out. What's the plot twist this season going to be? Maybe Arie will leave Lauren and then race Colton for the ability to hand out roses. Tia for sure isn't coming back, but you know they're going to run that story line into the ground. Sure, yes, he adopts senior dogs and has a charity, and is a human person with feelings and emotion. I'd rather watch groceries at Joe's store expire than watch Colton for MONTHS. He's such a lame pick. You know who's not a lame pick? Yeah that's right I said it. Has he been on any show this franchise offers since his heart was broken 2 summers ago? Have I tweeted him several times a month since then with no response since then? Will I stop doing that? I'm 31 and single and writing a blog about how I'm irritated, a man, I've never met, will date women, I do not know, for several months on my television. Who would you have liked to see be the Bachelor? Are you going to (rage) watch this season? This week I ate an acai smoothie bowl, so I'll be changing this to a fitness and health blog soon. 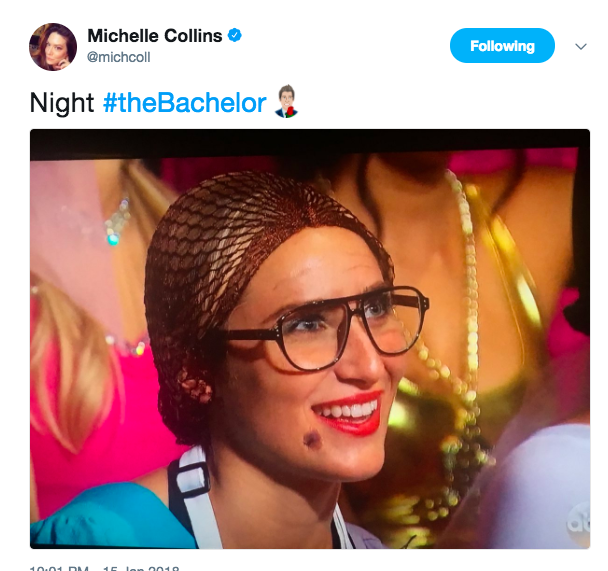 In the meantime, while I'm gathering granola, which is actually what the new blog will be called, let's just do a quick recap of this week's "Bachelorette." The show starts with Becca (looking a little shaky) on a bike, riding through town. In the meantime the guys did the traditional, stand on the balcony and scream the woman's name bit. Is it because she can hear them from her house? Are they really into getting noise violations? Are the locked out on the balcony and need to be let in? The group date was first. The men thought they were being treated to tuxes and shoes and champagne. It is revealed that Lincoln is built like a brick house, which made him calling Becca a beautiful princess a little less creepy...but only by a little. Becca was all of us when she didn't know what to do with a room of shirtless men. My glasses would have fogged up and I would have passed out, but she managed to stay fully coherent. The model made sure to let everyone know that if it was a date where they had to well...model he was going to win. Because, you know as far as being in clothes and being comfortable goes, no one was going to beat him. He told Becca the secret to being a model was to put your confidence on first. Speaking of the person who broke my heart, Rachel was outside with Bryan waiting for the guys to participate in an obstacle course for Becca's heart. I remember you and will never forgive you. Rachel told them that for part of the course they weren't allowed to use their hands but were supposed to show "what that mouth do." Hilarious, Rachel. Thank you...for your edgy comedy. Lincoln after cheating during the ice bath, poses with Becca as if they're a married couple, but if the groom had a series of misfortune getting to the altar, but at the end of the day made it because, love. Lincoln takes the picture to the after party and places it prominently on the table for all the dudes to witness. He then steals Becca first which makes everyone even angrier. After kissing her, he stated that it was like, "flying to the moon on the wings of a pegasus while dancing with unicorns on a pot of gold." Logistically I don't know how that would work, but hey, good for him. Lincoln continued to brag about the picture and Connor just couldn't take it anymore. He took it and flung it into the pool, breaking glass, and making Lincoln feel threatened and sad. He wanted to show that picture to his mom. Seeming to care very little for the drama, Becca said she had to think about everything, and let Connor know she wasn't happy. Meanwhile Jean Blanc out of nowhere, slid in and made quite the impression on ya girl, I mean Becca. The model tried to sell people on Lincoln and others having ingenuinity throughout the episode. I couldn't roll my eyes hard enough. He either doesn't know he's an idiot or he's trying to play dumb. I can't figure it out but I'm annoyed either way. Jean Blanc is now in my top three along with Clay and Blake. Blake got the 1:1 date. He has a very Nathan Scott from "One Tree Hill" vibe, and I'm 1000% here for it. They pull up to an abandoned warehouse where Chris Harrison is standing with a sledge hammer. That either meant he's finally had enough with this damn journey, or Blake and Becca were going to f some s up. Walking into the warehouse, there was a ton of stuff that related back to Becca's relationship with Arie. He's still getting a lot of run time for someone I've intentionally told via twitter, I no longer want to see on my television. Chris told the two crazy kids, that they would be destroying everything that was left of Becca's last relationship. Including the couch that he broke up with her on. Also, Lil' Jon was there. Destroying Arie's things and Lil' Jon made this the best date, I didn't go on. During the dinner date Blake told Becca is break up story, and they continued to get along really well. Becca seems really into him so fingers crossed he sticks around. If the extensive make out sesh is any indication, it looks like he will. The final group date was a dodgeball game which I feel like we've seen quite a bit. Later at the after party, Colton said he was nervous because he had something to tell Becca. Normally that means you have a kid, you're a virgin, you've been to jail, you have a tail, you were married before, you have a sibling who's really into renaissance festivals, etc. etc. So, whatever, I was prepared. told Becca that he had recently been in a relationship with Tia, her friend, from the previous season. Who is also best friends with Raven. He said the timing wasn't right then...but he felt like it was right with Becca now. She told him that it was a tricky situation and she wasn't sure what she was going to do. She needed time to think. Colton was nervous about what that meant for him and whether or not he would get a rose. At the cocktail party that night she hung out with a bunch of dudes. Clay, the nerdy football player, is who I want to marry. So if she doesn't pick him...you know...I'll just tweet him a bunch I guess. He just seems so kind. Connor tried to make up for his rude behavior, and asked Becca to throw a picture of him into the pool to symbolize him being different than the aggressive jerk from the group date. Then for some reason the model took his clothes off and went to talk to Becca. I'm sure there was a reason but his dumbness really started to cause a rage black out in me, and I don't remember what else he said. He didn't put clothes back on for the rest of the night and stood at the rose ceremony wrapped in a blanket like a little kid who just got out of the pool. He got a rose, because of course he did. She talked to Colton more about his relationship with Tia, and she said that in the back of her mind she was just always going to think about him dating her friend. She still didn't know what she was going to do. Colton said he understood, and then told her to have a good night and stay warm. At the end of the night he ended up getting the rose. Next week Tia shows up for the group date that Colton is on so it's about to get funky. I don't know about you but these guys seem mostly like duds. What do you think? Who's your revised top favorites this week? Much like the month of January, this season has felt long. Has there been 4 episodes or are we moving into sweeps week? I mean we've probably been through 3 solid moon cycles. This week the girls continued their trek for love to the Paris of Florida, Ft. Lauderdale. Arie said that Ft. Lauderdale was the perfect place to fall in love, what with the boats, and the food, and the water. Everyone knows those are the big three for a good love story. The more Arie talks the more he reminds me of an older Joey Donner from "Ten Things I Hate About You." I used to think he gave off a Danny Tanner vibe, but I mean Arie makes Danny Tanner look like a member of Guns n Roses. He is such a snooooooze. But, we're going to make it through this season. I wanna see what this grade A dummy does. The first date was with Chelsea, the mom, on a yacht. The boat could be seen from the hotel, where the women got a telescope and watched from 30 stories up. I'm not sure if it's always been this way, but this season it seems like there's a lot more super sleuthing during the dates. And who gave them that telescope? The producers either had to rent one, or bring one because I don't know a lot of hotels who have one on sight. Or maybe I'm just staying at the wrong Holiday Inn. Arie and Chelsea jet ski. I'm not trying to have a bumper car flashback on you guys, but jet skiing is a hard no for your girl. This one time I was in Key West and they took us jetskiing on the open ocean where like, sharks are actively seeking human flesh. "If DJ Khaled can jet ski, I can jet ski." I should use that for my audition tape if Peter's the Bachelor. At dinner Chelsea tells Arie that she dated an older man who made her who he wanted her to be, and about six months after having their son, he left her for another woman who he now has a family with while she had to start over. When she was talking about her struggle about being a single mom, Arie seemed a little too into it. So clearly he ended up giving her the rose because Arie wants nothing more than a blonde lady with a kid. The group date was with about 13 women at a bowling alley. The name of game was extra time with Arie, so the women were in it to literally win it. A bowling alley date is honestly my dream. Let's take another walk down Jones Memory Lane. I used to be on a bowling league when I was little so not to brag but I am adequate at bowling. I had my own ball, shoes, and a bag. The real reason why a bowling date is a dream date? I. Love. Bowling. Alley. Food. I wouldn't have even tried to participate in the date until I received the adequate amount of curly fries and card board pizza that's only good because you're eating it in a bowling alley. The women are excited to bowl, and are focused on winning. Krystalluhh is on the date and she is convinced that it is time for Arie to impress HER on the group date because she's made herself known. Before the games begin, the girls get in what can only be described as a prayer circle where Krystalluh leads them in a blessing of the date. Everyone is like "Yeah sure, Amen." After the Blue Team (aka Krystalluhh's team) wins, Arie decides that it might not be fair to send the other team home. She tells the women in the van on the way home that Arie didn't consult the winning team, that he told them what to do, and that he was a liar. She said that she wanted to be in a relationship with someone who included her on decisions and told the women that her stuff was packed and that she wasn't going on the date. The women are like, "K bye," and go down to meet Arie. Arie's like "Yay the gangs all here." And the women are like, "Krystalluh's not." They tell him about everything she said and that she refused to come downstairs. Needing an explanation, Arie goes to the room to talk to Krystalluh about why she isn't with the rest of the group. Arie: Why aren't you on the date? Krystaluh: You said one thinguh and then changed your minduh. Arie: It's just bowling. I wanted to extend time for everyone. Krystaluh: I don't knowuh anything about youh. Arie: You know the most about me. Arie: Are you teaching me a lesson? You should stay up here tonight and know I'm not happy about it. I'll see you in a few days. She has literally been to his home, so I'm unsure what she meant when she said she knows nothing about him. Besides having a copy of his finger prints to get into lock boxes at the bank, she's probably gotten the most out of anyone. Arie went back to the women who did a myriad of things to keep him entertained. Meanwhile, Krystaluh got dressed and came down to the date. Some of the women asked a lot of questions like, "Why are you here?" "Are you a liar now because you changed your mind about coming down here?" Ok that wasn't really a question but it kinda went that way. After being sufficiently shamed, she came to the decision that she was going to go back up to the room without seeing Arie. At the end of the night the group date rose went to Lauren B.
Arie's last date was with Tia. They went on a motor boat through swamp land and went to a house that was essentially surrounded by a moat of crocodiles. Which is oddly how his home in Arizona is set up. He's getting older, he can't really afford to have women leave him anymore. The date was very sweet and Tia is 1000% too good for him. At the time of the cocktail party the women are out for Krystaluh's demise. Krystalluh on the other hand lets them know she wasn't ignoring them, she was in her room investing and discovering herself. The women tell her she's gross and she is appalled they do not understand her. To be honest she does seem like a jerk who would throw glitter bombs on people. Hard to get rid of...just like her. Somehow she gets alone time with Arie and tells her that she was triggered by her time in the bowling alley. You see, it took her back to her childhood, because her mom used to work at a bowling alley and she spent a lot of her time there. When Arie changed his mind, it reminded her of all the men her mom dated that would make promises and not keep them, so her mom would have to keep working at the bowling alley and she was just really messed about that. She doesn't need to worry about pulling any muscles because that was a stretch. Arie seems to take it all in, or not. His blank stare is hard to read. She says that they just had their first fight, to which he replies, "And it could be our last one." LOL, no it won't Arie, the producers have them in their pool, she aint going nowhere. The rose ceremony comes and I'm going to be honest, the remaining women are all blending together, and I can't remember who has already left and who's managed to stick around. Like is Jacqueline not Bekah with long hair? Did Sienne realize that she was way too good for this and leave? At the end it came down to the very last rose, and Krystalluh waiting for her name to be called. Next week they go to ACTUAL Paris, so the women probably lock Krystalluh to that Lock Bridge. Is anyone standing out to you yet? This week, we start with Danny Tanner Arie overlooking the highway grateful for the extra help at home he has from Jesse and Joey the journey he's about to take this week. At the Bachelor mansion, Mommy Dearest, is hopeful for a 1:1 date with Arie to give him the rundown about why she's so mysterious. However, she is given a rude awakening when the date card has Becca K's name on it instead. 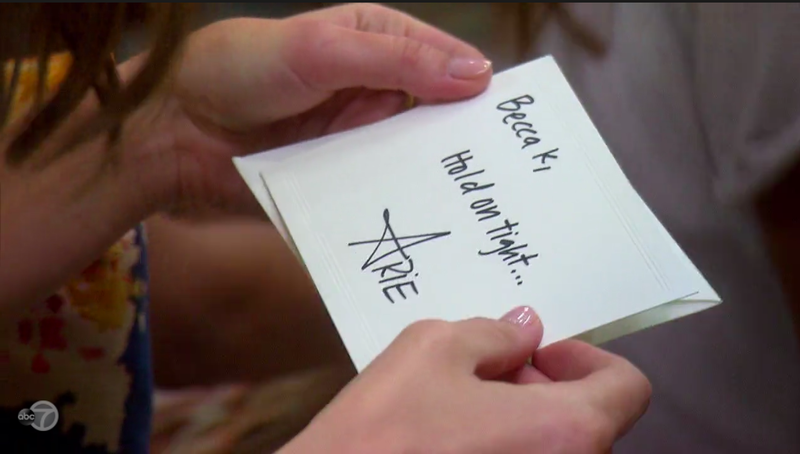 (Side note: my instafriend @katiezkelley pointed out that Arie signs his date cards with a star for the A. The man is 36 years of age. As Becca made her way outside, Arie provided her with a leather jacket that fit just right. She was shocked that he knew her size, but what she didn't know what that leather jacket held a secret. A secret of the traveling leather jacket...all who try it on, are able to wear it comfortably. As many of you have read here in the past, putting on a man's jacket to stay warm or a new jacket in front of people is a nightmare situation for me. What if i burst through and the sleeves come off, and I'm wearing a leather vest like Stone Cold Steve Austin? They got on his motorcycle and rode off. Krystalllluh said that she would have told him before they got on the bike that her dad was in a bad motorcycle accident and knew people who had lost body parts. Could you imagine, everyone outside, seeing them off, and she's like, "Wait...no...let's talk about motorcycle safety." Becca and Arie went on what is best described as "Pretty Woman" date. Rachel Zoe styled Becca in her line and while I'm sad I didn't get any answers about whether she still talks to Brad and Tay (please make up you guys), we got to see all her new looks. Becca tried on the dresses for their dinner date, and modeled them for Arie. Enter yet another nightmare scenario for yours truly. She was also gifted all the looks, her own pair of red bottom Louboutins (had to google how to spell that), AND a pair of diamond earrings from Neil Lane. I'm sure that would have been helpful BEFORE she spent all that money on fancy dresses for the show, but hey, maybe she still has the tags on a few. All I could think about was the shopping spree scene from PW and was waiting/hoping for her to go back to the house and say to the ladies "Big mistake, HUGE." The night portion of the date was just dinner and a confetti box. Throughout the conversation Becca said she was glad he knew a lot about cars because she needed to get her brakes fixed. She honestly seemed pretty cool, and I've got her as a top fav for sure. Then you guys....I can't.....I can't really tell you how much this next date upset me. It was another 1:1 ...........with.............Krystalllluh. What...what fresh hell is this woman? When she found out her name was on the date card, she said that must mean she meant a lot to him. He told her he was going to take him to Scottsdale, AZ aka his home where they literally went to his house. I'm unsure how I feel about her knowing the exact address of where he lives, as she can accurately case the place, but to each their own. They watched home movies and we were reintroduced to the mother who is in love with him. Once she saw how close his family was she mentioned how NOT close she was with her family. As I typed that sentence it came to me who she reminds me of. Debbie from Addams Family Values. She comes back to the house and all the women want the deets of their date. She is really vague about what they did. Probably because she doesn't want them to take the good bushes out side his home. The group date had FIFTEEN girls on it. They found out they were going to be participating in a demolition derby. All of a sudden Annaliese starts crying, and I mean really crying. She has trauma based on a bumper car incident when she was a child. She was stuck in the middle of cars that just kept bumping her and she was just so scared. You're probably thinking to yourself, "Self, isn't that just what bumper cars is?" And the answer is in fact, "Yes." And sure, all of us have some sort of traumatic story to tell from childhood. One time my shoe made a fart noise and everyone laughed at me and I couldn't replicate the sound again and no matter how many times I said, "It was my shoe, not me!" they still laughed and said I farted. You're probably thinking right now, "She probably did fart." But that incident didn't stop me from wearing shoes for fear of future fart sounds. Someone tell him for me. Somehow Arie inspired her to get in the car, and all of a sudden she turned into Grave Digger. The girls get really into it and Seinne wins. Mommy Dearest steals him first at the after party to tell him why she's so mysterious. She tells him she has a three year old son. Arie tells her that's great and that he used to live with a woman who had two kids, but it didn't work out. I don't think she thought you had an ole lady back at home waitin' on ya. When Chelsea rejoined the group she said that as a mother she needed as much time with him to make sure that she wasn't wasting her time. Marikh said that while she respected that Chelsea was a mom, but that didn't make her any more special, because everyone had a story. These girls do not play. Later, Bibiana raged because she didn't have time with Arie, while others tried to calm her down. It didn't help, and she went home feeling her feelings. Meanwhile, we learn that Seinne went to Yale and is smart af and very chill. Arie seemed to like her a lot and she's a second fav of mine. Arie faked out Mommy Dearest, by saying how he appreciated her revealing more about herself, but ultimately gave the group date rose to Seinne. During the cocktail party the women were tense and hoping to get as much time with Arie as possible. A few girls talk to Arie, and then Krystallluh wanting to "follow up" with Arie interrupts Lauren B who didn't have a date that week. The women were angry, but not lighting their torches yet. Then she did it again...to Bibiana. She came back into the house and sat on the couch with the women who were still waiting for time with Arie, and they weren't having it. Especially Bibiana, who had some residual rage from the previous night. She told Krystalluhhh that she wasn't going to talk to her until she stopped using a fake voice, and that she just ruined any chance of the women respecting her time. Krystalluhhh apologizedduhhh but clearly did not care. It's sad she doesn't know that her bra is going to be in the freezer and her hands are going to be in warm water for the remainder of her time in the mansion, but she brought it on herself. The rose ceremony was uneventful, until he had to say goodbye to the women. Most said good luck, but Jenny? Jenny just walked out. Arie went after to her and gave her a very uncomfortable hug. She told him she wasn't sad to leave him but she was sad to leave her friends. Sweet Jenny, you'll see them in Paradise, I'm sure. At the end of this episode I realized that more than anything, that I could find a way that let me watch this show, but not watch Krystal, but also know everything she says without listening to her actually speak. She is my least favorite, and I don't remember the last time I haven't like someone so much on this show. She is just...gosh she's the pits. I'm hoping she doesn't stay for long, and I have a feeling that if Bibiana has anything to do with it, she may miss a flight or two. What were your thoughts this week?